Oh yes, it’s that time of year again. Spring Con is in the air! I’ll have a table there, of course. There’s a ton going on this year and it’s only $5 for admission. 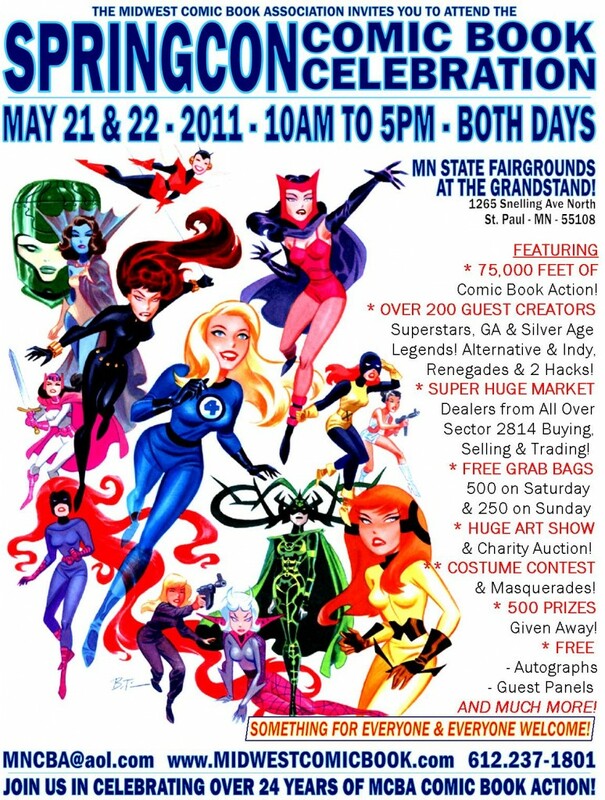 For more info, check out the Midwest Comic Book Association website. Hey, just clicked on the Sprincon link and it looks like admission is actually $11 (or $10 with a canned food donation). Glad to see you’ll be there, hope I get to stop by!